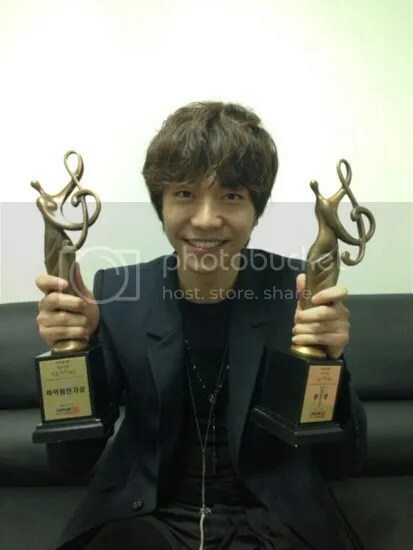 This entry was posted in Awards, Photo and tagged 이승기, Lee Seung Gi, Seoul Music Awards. Bookmark the permalink. You are most welcome, Hook Entertainment. To support SeungGi, is our pleasure & honor. Congratulations, Seung ki for the 2nd AWARD Tonight you a spectacular night!!! Congrats Seunggi! ‘Return’ is doing so well on the charts, breaking the records here and there and these awards just complete it, we can’t be happier for you! Singer Seunggi is definitely having a daebak year. Definitely looking forward to go crazy over Choi Kang Chi and ‘Gu Family Book’ next! Fighting! Omg! Congratulation ! Love you so much and all airens. So proud that seunggi continue hard work until today. Fighting seunggi for another new. New drama , fighting! I’m very very very proud of you, Heodang ah! Congratulation SeungGi ah..we will always support you and be with you. Best wishes for “Gu Family Book” to be daebak as well. Seung Gi Fighting!!! Airens Fighting !!! A good start and good sign for the beginning of 2013~!!! Keep up the good job and may more awards come to you in the near future~!! !